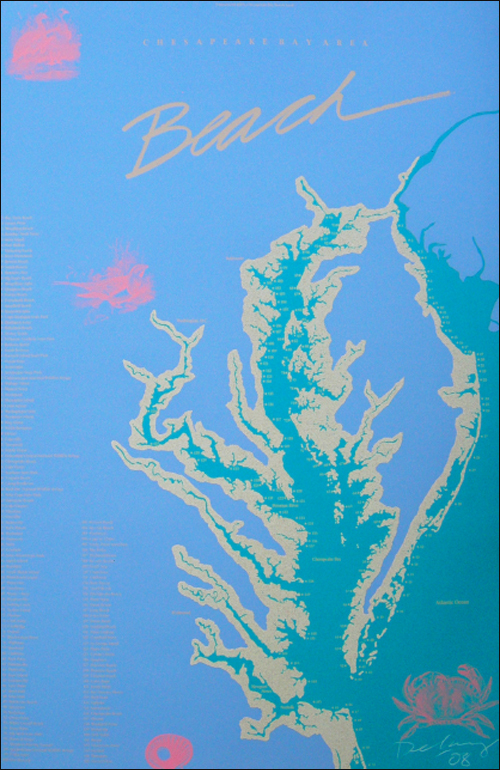 Real Sand in Series: "Chesapeake Bay Beach Poster™," Screen-printed poster of Chesapeake Bay using real sand. Seven beach posters comprised the collection. Rhode Island has sold out, twice. California, Florida, Chesapeake Bay, Long Island, Cape Cod, New Jersey and Rhode Island are the beaches, depicted.